If you want to make your music available on all the major platforms then there is no better option then DistroKid, this easy to use and cost-effective system, provides an easy way to distribute your music fast and easily. For only $19.99 a year as a single artist, you can upload as many projects or solo tracks as you like, and in this tutorial we’re going to walk you through the process of uploading your first song to Spotify, iTunes, Apple Music, Google Play & YouTube Music, Amazon, Pandora, Deezer, Tidal, Napster, iHeartRadio, ClaroMúsica, Saavn, MediaNet and over 150 other smaller outlets, and today I’ll show you just how easy it is to use. 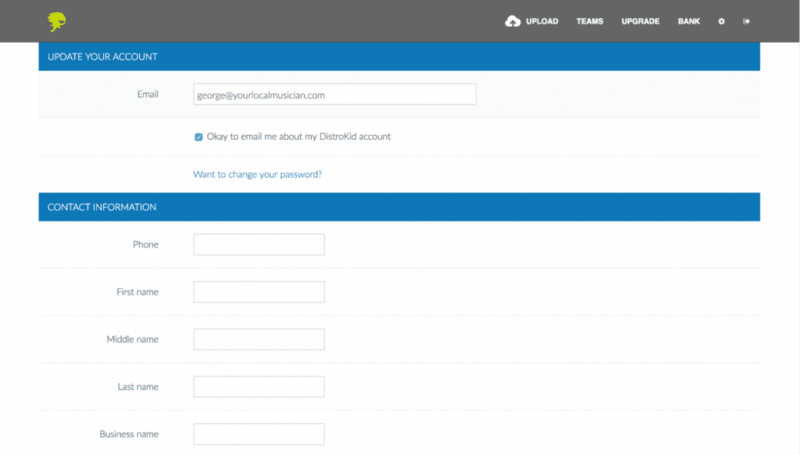 Upon first signing up to DistroKid you’ll be prompted to set up your account and upload your first project. Upon first signing up, you will be prompted to first fill out your contact information, before moving to the next step. 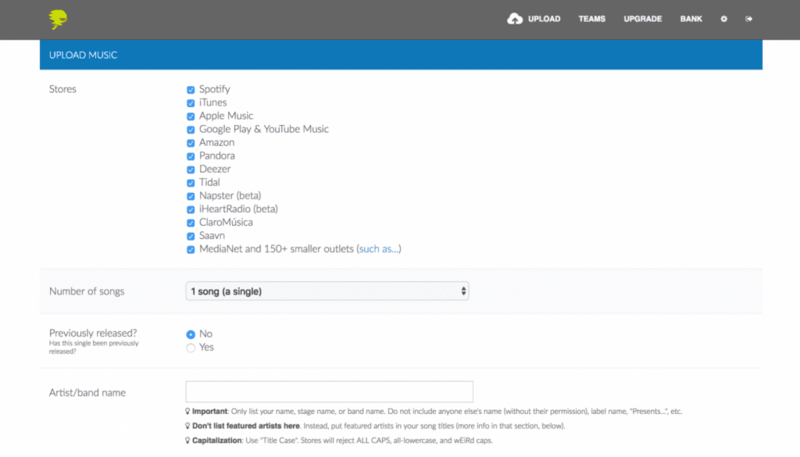 In stage 2 you’ll be able to pick from the wide selection of platforms DistroKid uploads to, by default all options are ticked, so if you don’t want to upload your music to any of these specific platforms here is where you’ll untick those options. 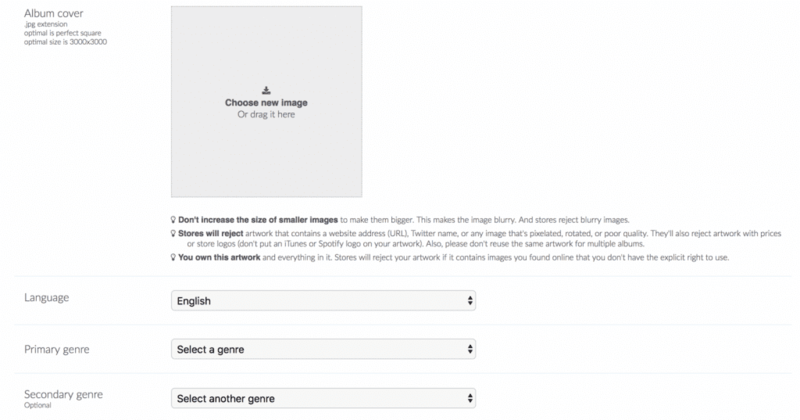 Select how many songs you are intending to upload, hit yes or no to tell DistroKid whether your song has been previously released or not and then enter your artist name. Next in the process is uploading your projects artwork, the recommended format being .jpg and optimal size 3000 pixels wide by 3000 pixels height. Now it’s time to fill in your track information, Give your Track a name, select whether you wrote the song or not, hit yes or no if your song features explicit lyrics, choose your file format preferably WAV for maximum quality. Two of my favourite additional features are the Store Maximizer and the Shazam & iPhone Siri options. 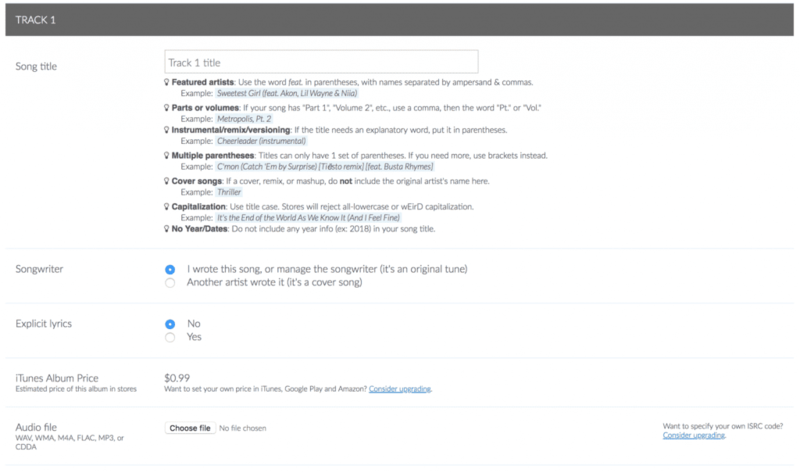 The Store Maximizer will save you a lot of time and effort, when a new music service is added to the platform, for only $7.95 a year DistroKid will automatically add your music to the store. The Shazam and iPhone Siri option is super cool, for literally $0.99 a year your music will be able to be recognised by Shazam and iPhones Siri. 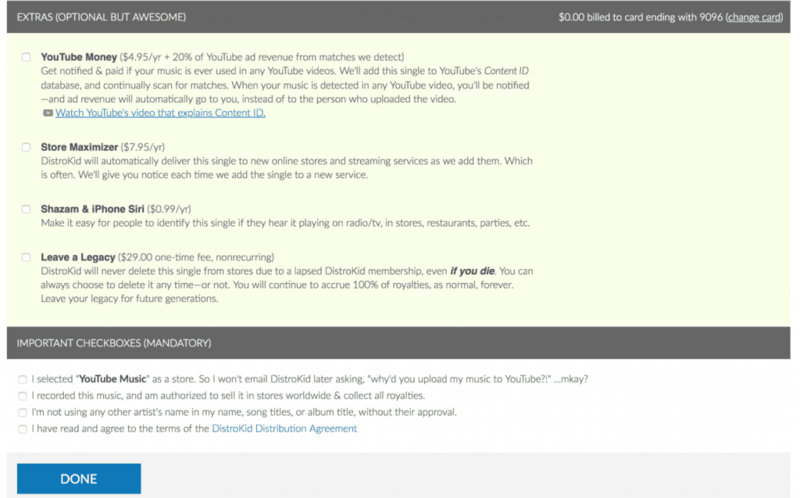 Lastly, you need to finalise a few last details about your track, tick the first check box if you’re going to use the Youtube Money feature, and then tick the last remaining boxes if you own full 100% rights to the music your uploading and you’re not trying to rip anybody off. Get 7% off your first year’s subscription fee by clicking the link below. More Details: Sign Up to DistroKid Here. Airbit vs Beatstars - Where Should I Sell My Beats?